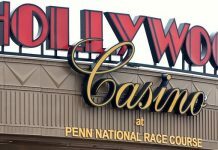 The American-based global hospitality giant, MGM International, is one of the world’s largest and most successful casino operators, with an annual revenue stream of almost $10 billion. Licensed through Las Vegas, much of North America and the Southeast Asian Pacific with Macau, MGM is looking to expand its markets even further, and has the means to do so. 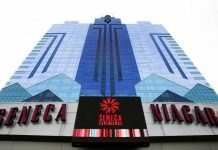 With the passing of the recent Integrated Resorts Implementation Bill only a week ago by the upper chamber of the Japanese government, the company is looking to get its foothold in Japan, with the possibility of developing a new mega resort in Osaka; one of the cities that has been listed as fertile ground for a new integrated resort casino. Japan, which is still adjusting to casino-gambling, which became legal only two years ago, now has to ready itself for the first wave of mega-casinos that will be constructed on Japanese soil. Although, it will be lengthy process, with a minimum five-year waitlist, MGM is eager to get started. With the ink still wet on legal paper regarding the new bill, better known as IRIB, casino operators are now in heavy competition, hoping to gain peak position at the top of the list for companies vying to get one of what will only be three, at least for the time being, granted casino licenses for Japan. 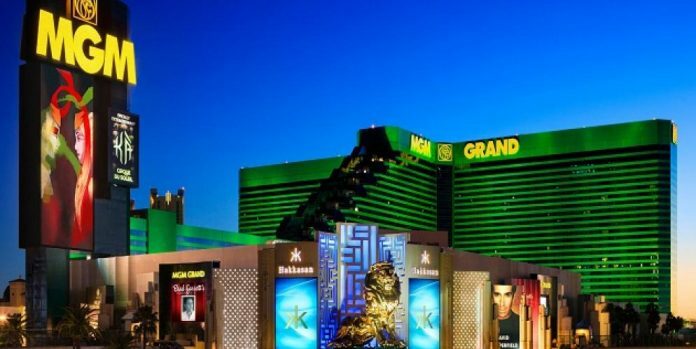 While many of the top casino operators are patiently waiting on the sidelines, MGM International’s top brass are not ones to mince words, and have proceeded with an aggressive approach for recognition. James Murren, chairperson and chief executive officer for the company stated earlier this week to the Japanese press that MGM is willing to make a “full contribution” to the Japanese government and invested private enterprises for operational rights within a major urban area in Japan. To put an even greater exclamation point on the offer, Murren specifically pointed to interest in Osaka, and only Osaka. In other words, if Japan will not allow MGM to establish operations within the coastal hub, the company has no interest at all. Experts agree that in terms of revenue for an IR, Osaka has great potential, offering numerous benefits in regards to infrastructure. The Kansai International and Kobe Airports, located nearby as well as Shinkansen railway network would help bring in a flood of visitors were a mega-resort to emerge within the city. Murren, holding firm in his position, reiterated that MGM is willing to spend as much as $9 billion for the rights to construct an integrated resort in Japan. The jury is still out on when the bidding process for Japan’s highly coveted casino licenses will begin. Analysts project that the earliest that any deliberations will begin will not be until the end of 2019 or even into 2020. If the amount of time that it took for the leading members of Japanese Parliament to agree on IRIB is any indication, which was years in the making, then casino licenses may prove equally tricky. In any case, there is no doubt as to the kind of revenue that the newly constructed mega-casinos will bring to Japan. Experts’ estimates concerning combined gross gaming revenue for Japan is as high as $40 billion annually, no small sum indeed. The casinos are not the only ones benefitting, because each casino stands to 30% in taxes to the Japanese government, a vital source of additional income for the country.